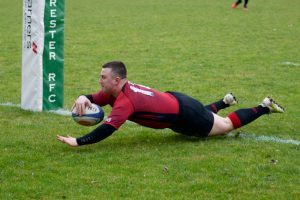 Despite missing over a half a dozen key players, this relatively inexperienced Reds’ team played some cracking rugby, taking the game to the League leaders. 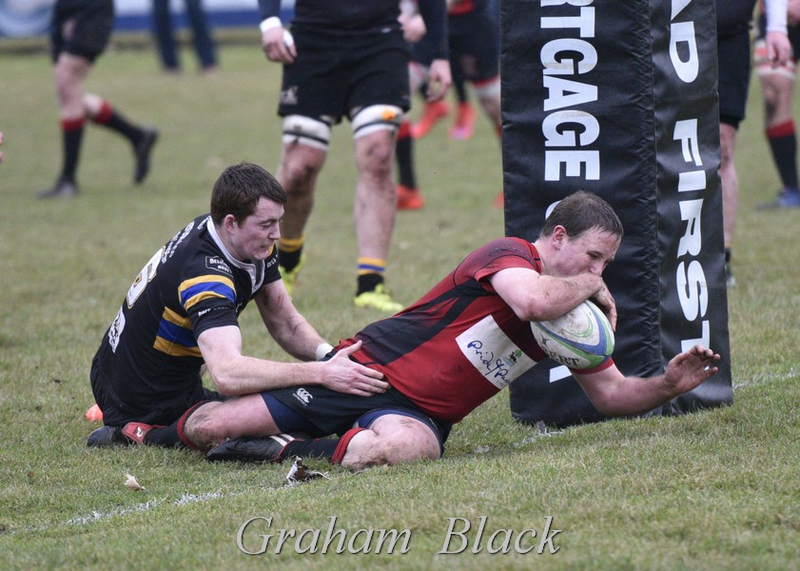 There were tries from Andrew Archer and Ross Tulloch and man-of-the-match Cammy Walker came close on a couple of occasions. 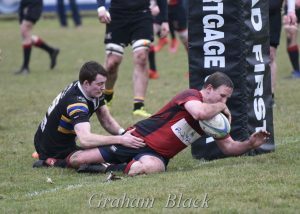 A last minute score for Quins, against the run of play, resulted in a score that flattered the visitors. The young Reds’ 2s continued their winning ways with a cracking away win against the second placed team in the league. They scored 5 tries (photo shows Ally Walkerscoring his try), two through Kyle Dunlopplaying his first match of the season after a long injury lay off. The 2s have now played 15, won 15 and lead the table with 74 points. On Sunday, the u15s took on Biggar at Mains Park for their first match of 2018. This turned out to be a close and competitive match, with the Reds a bit slow to get back into the groove. Overturning a first half deficit, the young Reds ran out 44-26 winners, with tries from Aaron (3), Gregory (2), Callum R, Aiden and Jamie. Well done to both teams in a hard fought game.